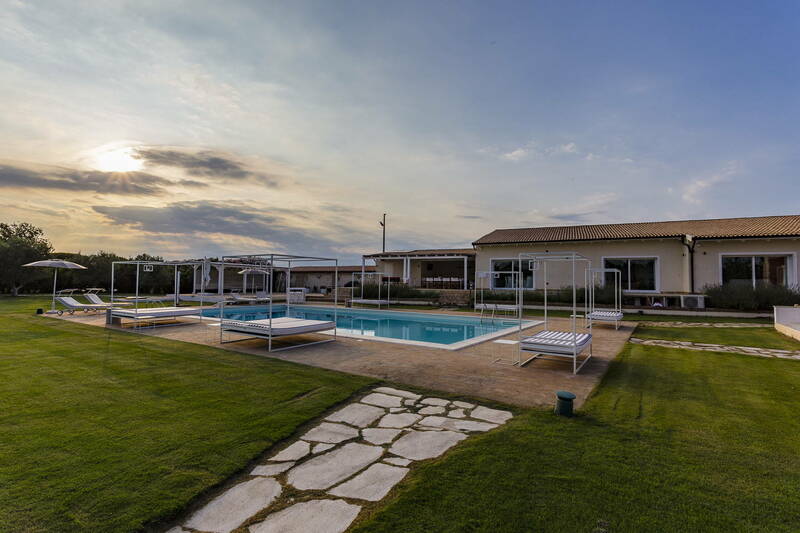 Sorry, Villa White Heron is not available for the selected dates. 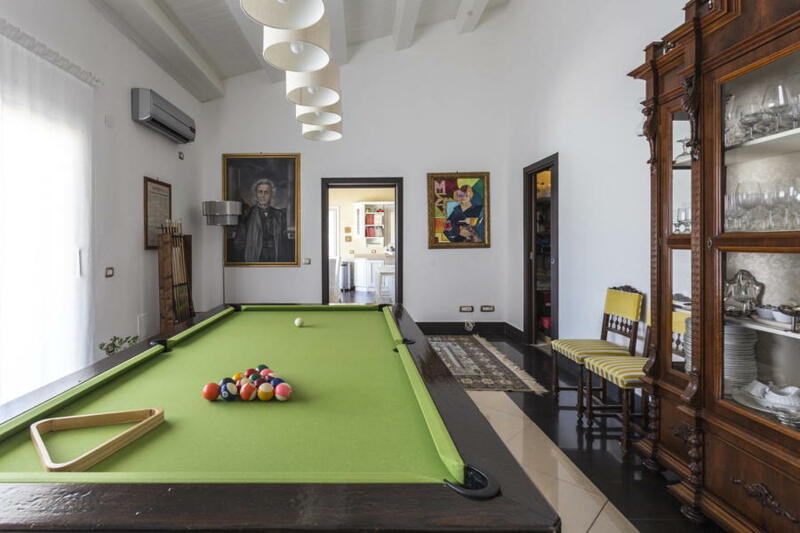 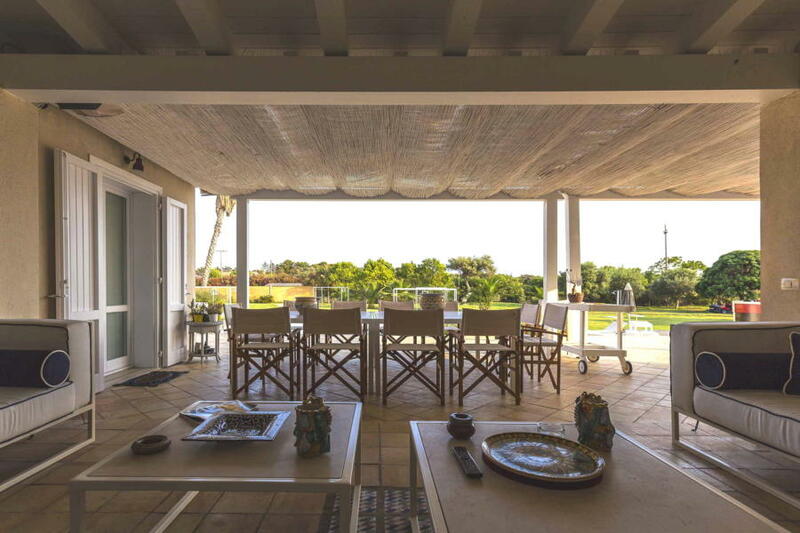 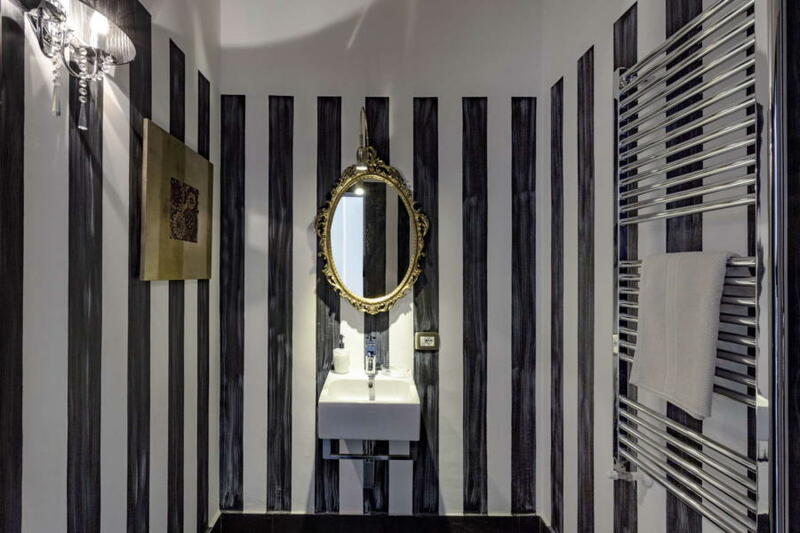 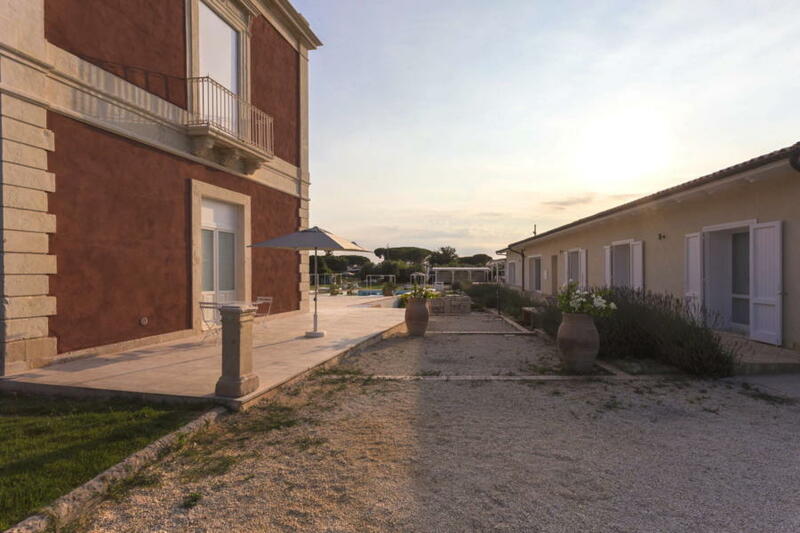 A wonderful property immersed in the lush Sicilian countryside and just a few kilometres from the centre of Syracuse and the wonderful beaches of western Sicily – a truly enchanting and beautiful location. 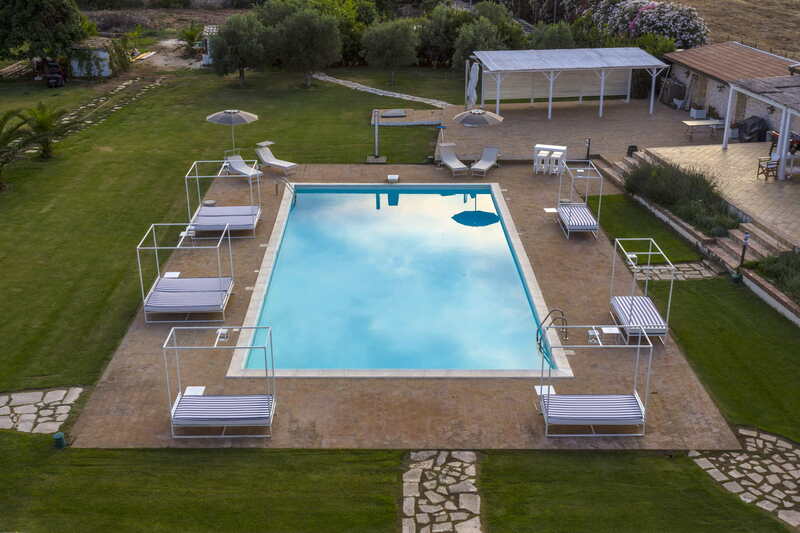 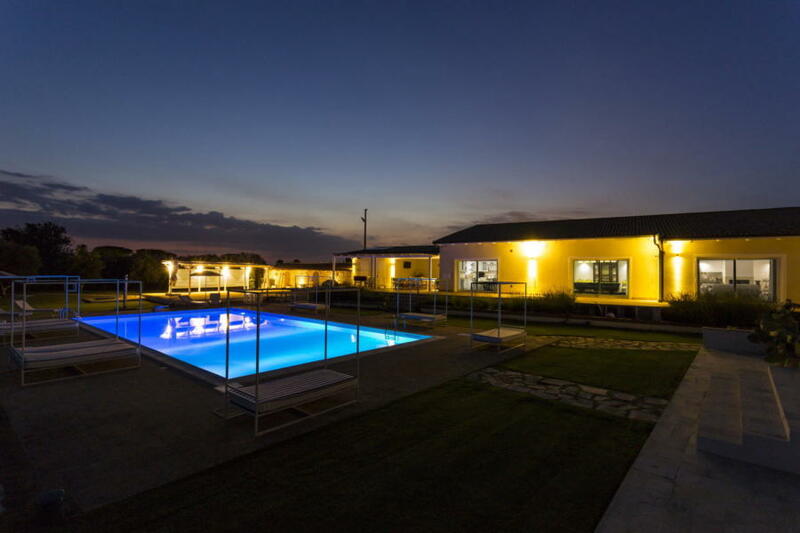 Outside you are welcomed by a spacious, well-tended garden, with a splendid lawn and a large, stylish pool (15 x 7.5 m – with an elegant gazebo and comfortable sun loungers where you can enjoy the blue Sicilian sky). 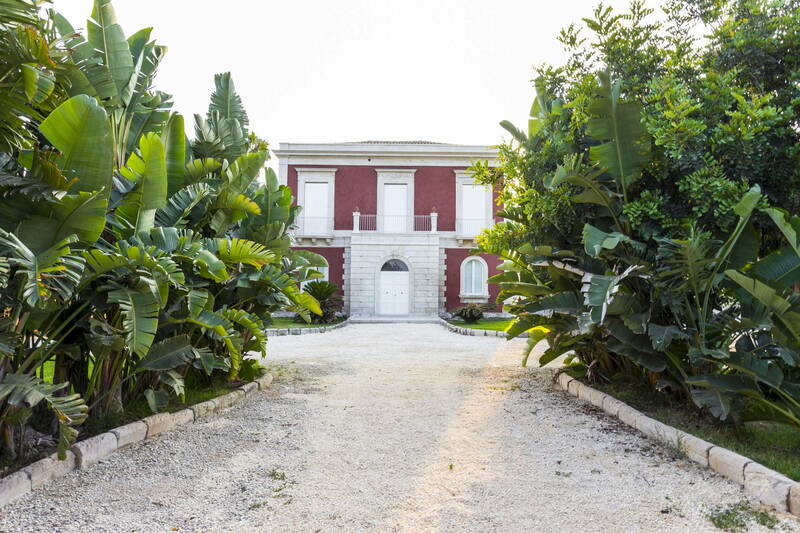 Wide open spaces, the furnished terraces, and the exquisite veranda all assure some truly special relaxing moments, as well as the pleasure of enjoying local delicacies out in the open, immersed in the outdoor aromas and enchanting Sicilian atmosphere. 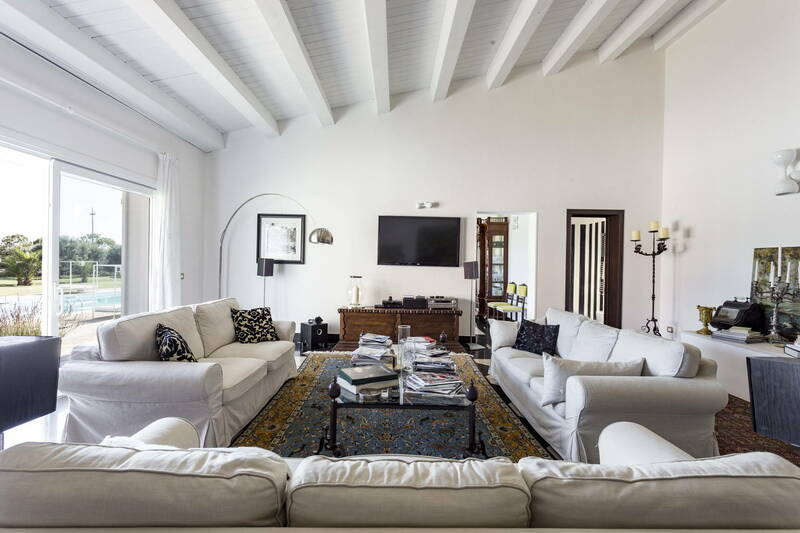 The property, which consists of a main building and wonderful outbuilding with 2 suites, tastefully combines Sicilian elements with a more modern and minimalist style, favouring light and airy pastel colours, quality materials (from the wooden beams to the stonework), and refined finishes. 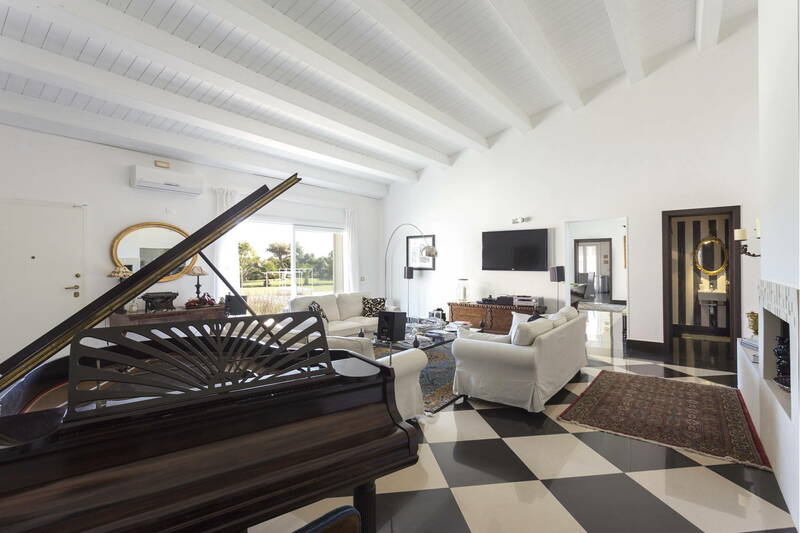 In the main building you’ll find a stylish living room with a fireplace and grand piano (ornamental, not playable), a large family kitchen with a breakfast area and dining table, and a large billiard room. 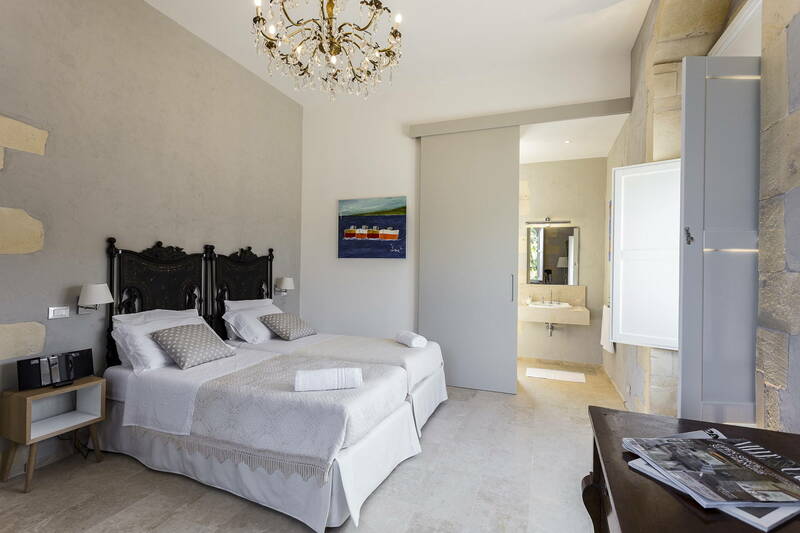 The spacious and elegant rooms guarantee comfort and open out onto the terrace and swimming pool. 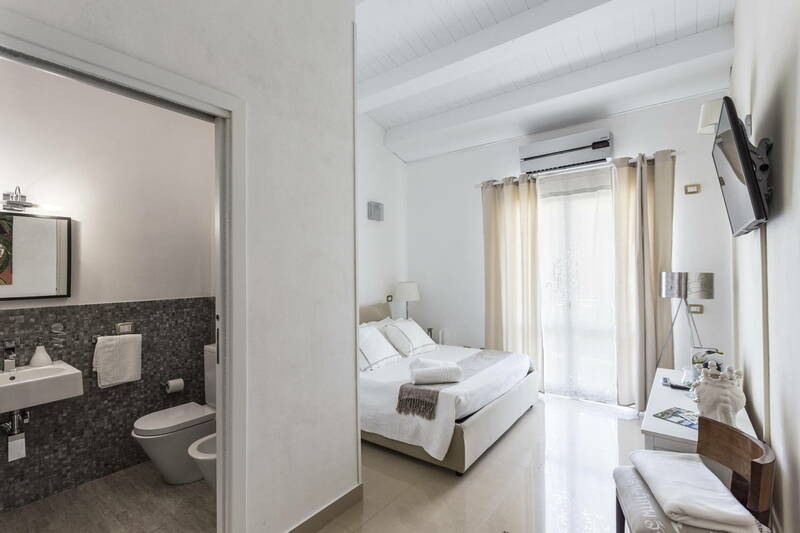 The night area consists of three bedrooms, each with air conditioning and a private bathroom with shower. 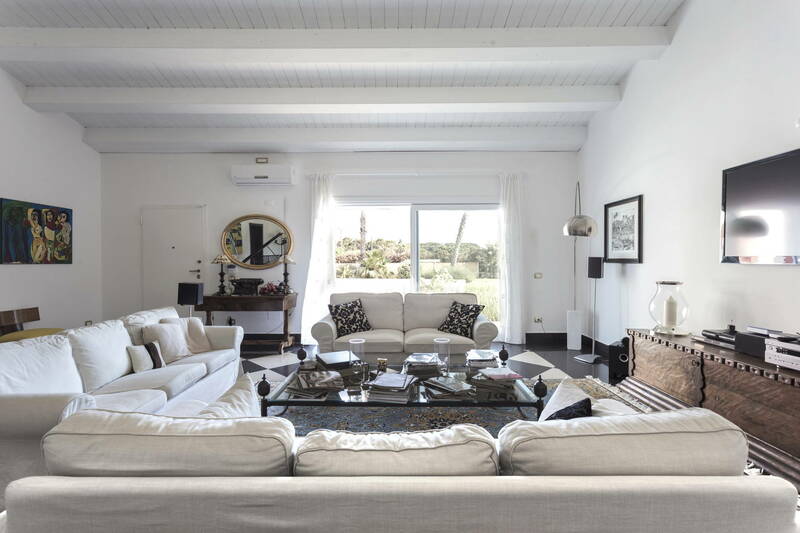 They’re generously-sized, stylish rooms, furnished with care and attention to detail, and they open directly out onto the terrace. 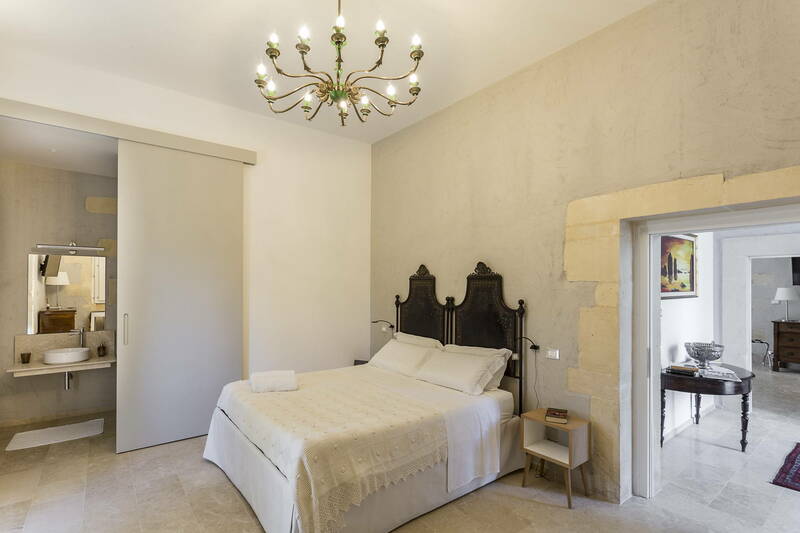 Along a path from the main house, you arrive at the outbuilding with its splendid suite (with bathroom and shower), where you’ll enjoy a more Sicilian style, with stone materials, high ceilings, and chandelier decorations. 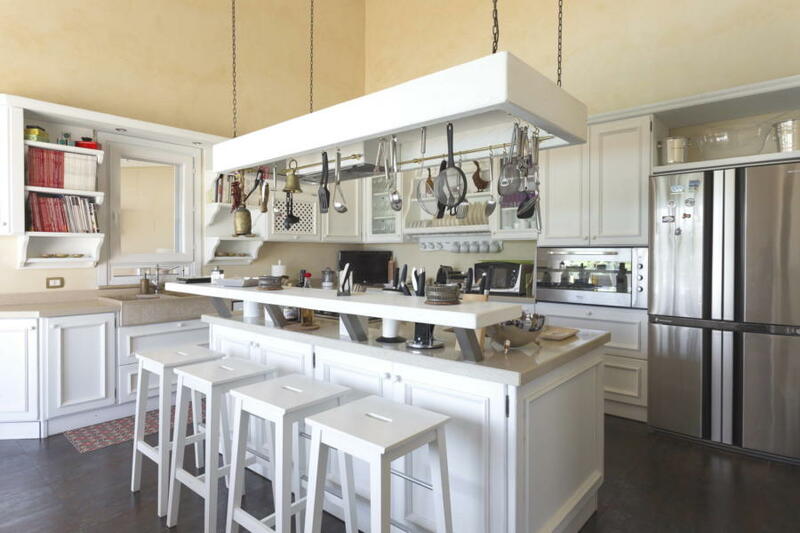 It contains original furniture from the early nineteen hundreds, and more current colours, keeping the dialogue between classic and modern light and elegant. 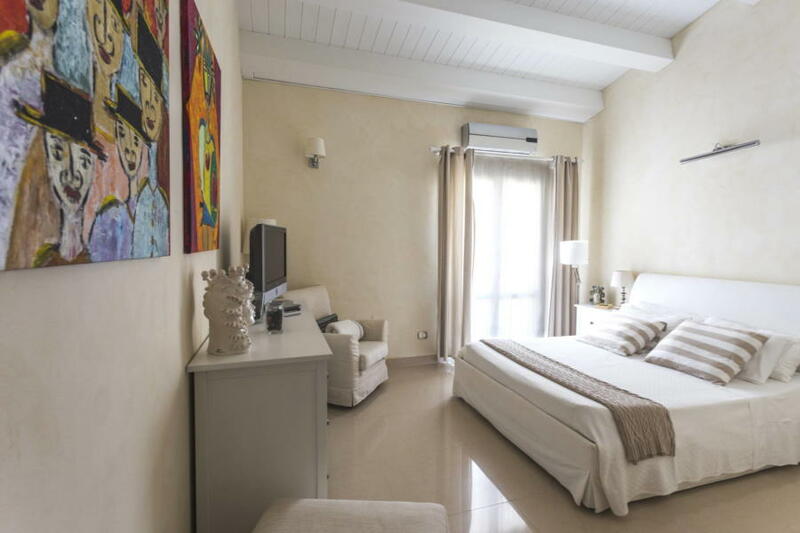 At the guests’ request, the double bed can also be made into two beds. 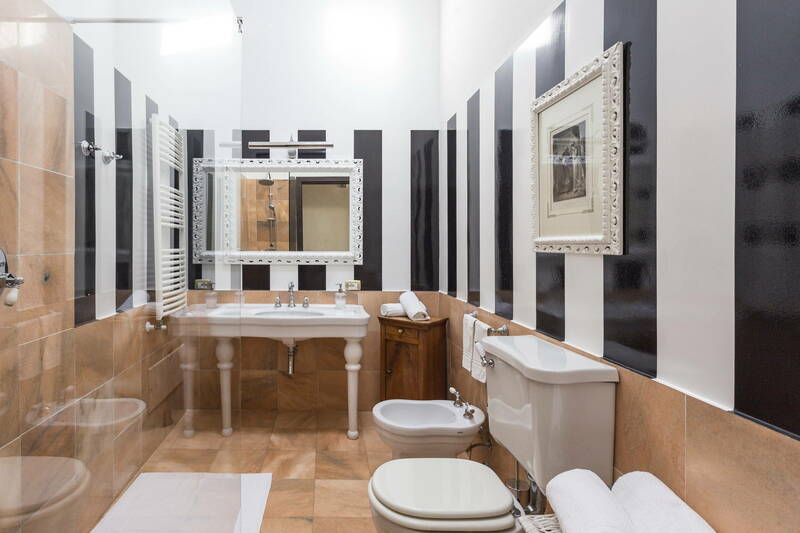 Also, to assure the utmost comfort and best service, a small gym is available to guests, with a treadmill, bench, and bike, as well as table football, a billiard table, and a daily cleaning service (bedrooms and bathrooms). 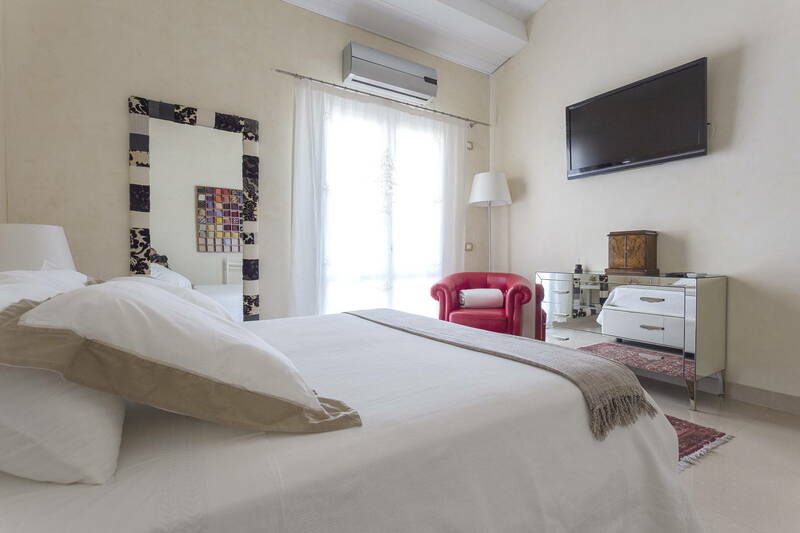 This is the perfect location for exploring the wonderful beaches of Fontane Bianche and Calamosche, and the pearls of baroque Sicily (from Noto to Modica), as well as Etna, Catania, and Taormina, which are just an hour away. 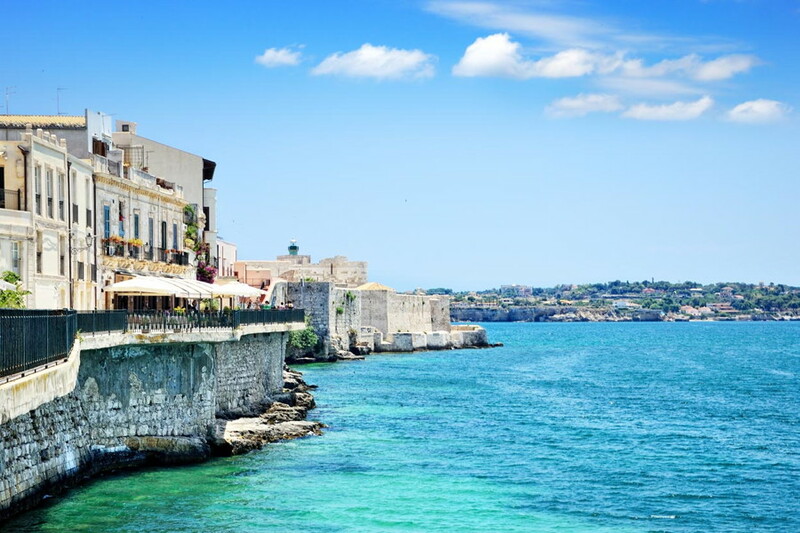 Bars, restaurants, and beaches are just a few kilometres away, whilst the wonderful city of Syracuse and main services are just 10 kilometres away.